We closed for submissions at the end of Sunday 14 October. 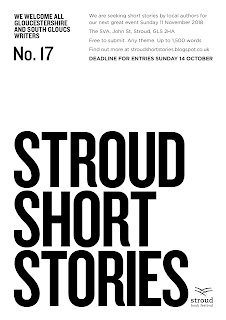 As ever it's free to submit and we accept both published and unpublished stories from Gloucestershire and South Gloucs writers. For the Rules and How to Submit click on the tab above or here. If you want an idea of what kind of stories we like (and we do like lots of different styles) listen to the authors reading their work at previous events here. TIP! - Remember it's a live lit event. Complex multi-dimensional stories and stories with many voices and lots of dialogue are not best suited to a live reading. I am delighted to have inveigled the brilliant author and publishing guru Debbie Young to judge with me for the third time. Check out more info about the judges using the tab above or here. We guarantee that all stories are read by both judges. We love reading your stories. 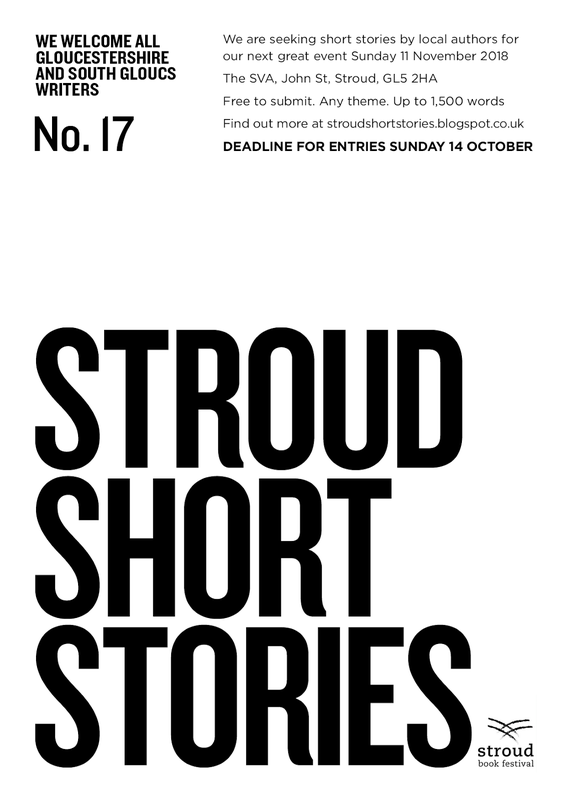 And, yes, our brand new Anthology, covering 57 stories by 45 Gloucestershire authors and six SSS events from 2015 to 2018, is now available here.